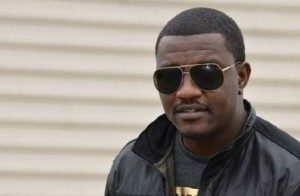 Today is the birthday of Ghanaian actor John Dumelo. He turns 32 years old. John Dumelo went to Christ the King School, Accra then attended Achimota School for his primary school education. He obtained a degree in Civil Engineering from the Kwame Nkrumah University of Science and Technology. John Dumelo who is an award winning actor has acted in several big Nollywood and Ghanaian movies. Yibo Koko is a popular comedian and actor in Nigeria. Yibo Koko who had a stint with Africa Magic was the Creative Consultant to the Rivers State Ministry of Culture and Tourism.